So we have the best Home Teacher ever. Seriously, if you’re a single mama in need of someone awesome, angle to get the last bishop, who was just released, and doesn’t have any grandkids in the area assigned as your Home Teacher. Last spring, he fenced our front yard and put in sprinklers and flower beds, and moved the Rainbow playset from the big house to Little House. 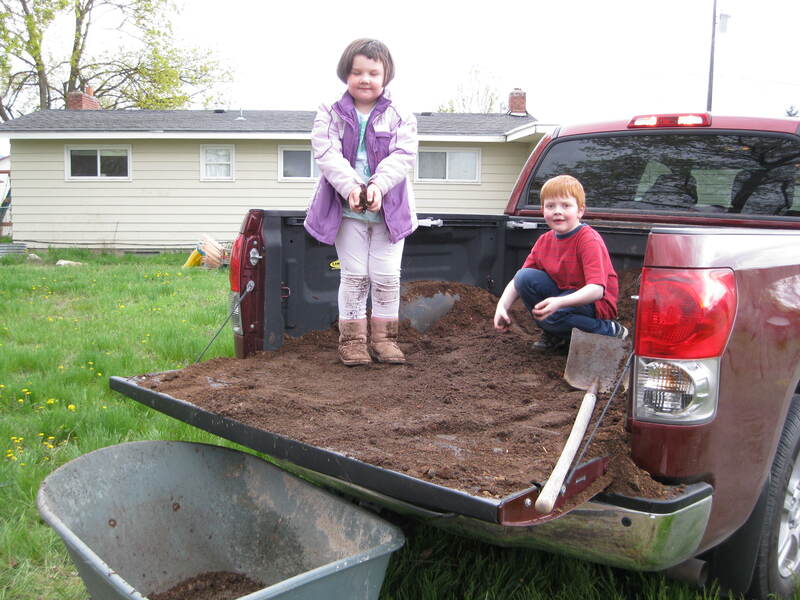 This spring, much to my surprise and Bean’s utter delight, they are planting a garden in the enormous backyard. 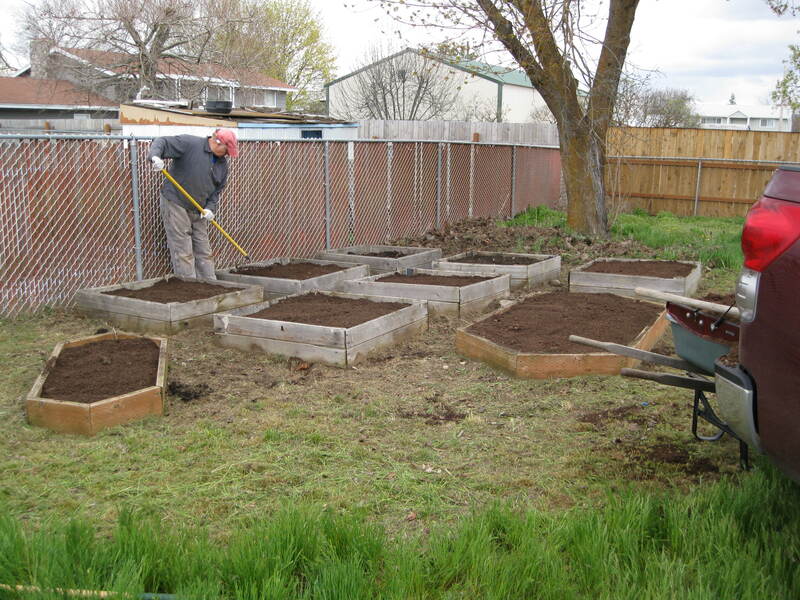 Rototilled, weedwacked, raised beds filled with compost… So help me, this man personifies Saint. Bean’s got some grand plans, including watermelon, cantalope, tomatoes for mama, as well as bell peppers and eggplants. We also now have a peach tree. Abby has asked for some flowers, preferably pink tulips. Jeffrey wants blackberries. We’ll see how that goes. I’m jealous. Your garden might end up being bigger than mine. If only I was a gardener!! Wish you were here to help, Mel! That man is a Saint. Enjoy your garden! watch out for the blackberries!!! not only do they bite, but they will NEVER, EVER go away…we have blackberries in our yard–in a planter where they belong AND in the middle of the lawn WHERE THEY DON’T!! they burrowed under a great big cement walkway…we’re gonna be over run!! but dang they taste good! enjoy your garden. i suggest purple bush beans (no staking necessary and hey, they’re PURPLE! ), tomatoes of some indeterminate, disease resistant variety, and zucchini (practically fool-proof). let us know how it goes. Oh, God bless him. That is awesome. Peas from the garden are the best! And carrots! Enjoy it, and I’m sure you will learn a lot for next time! Is it wrong for me to want to kiss this older man I don’t know? I do though. Enjoy.